Thomas Dausgaard has renewed his contract as Chief Conductor of the BBC Scottish Symphony Orchestra for a further three seasons from 2019/20 until 2021/22. As Chief Conductor of the BBC Scottish Symphony Orchestra since 2016, Dausgaard has led the orchestra in concerts at their home in City Halls, Glasgow as well as further afield in the UK and internationally, and has made annual appearances at the BBC Proms and Edinburgh International Festivals. This season he led the orchestra on a highly successful international tour to Germany, Italy and Austria, culminating in a performance at the Musikverein in Vienna with soloist Nikolaj Znaider, and later in 2018 he and the orchestra will embark on a major recording cycle of Bartok’s orchestral works for Onyx. Speaking about the contract renewal, Dominic Parker, Director of the BBC Scottish Symphony Orchestra, said: “Thomas brings artistry, creativity and an unstoppable musical curiosity to everything he does. His desire to do things differently and to fearlessly programme and explore all corners of the artistic repertoire makes him an ideal match for the players of the BBC SSO. We have already experienced some memorable concerts under his leadership and the plans we are developing for the coming years are even more exciting”. 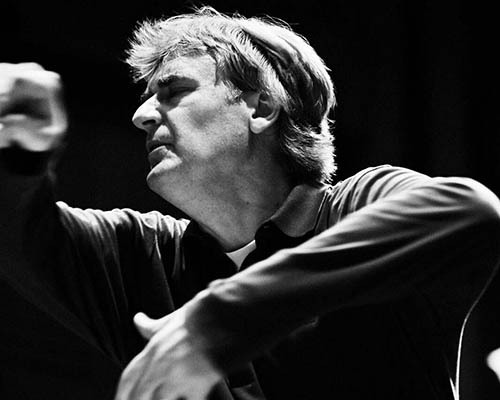 In addition to his position with the BBC Scottish Symphony, Thomas Dausgaard also currently serves as Principal Guest Conductor of Seattle Symphony (becoming Music Director in 2019), Chief Conductor of the Swedish Chamber Orchestra (becoming Conductor Laureate in 2019), Honorary Conductor of Danish National Symphony Orchestra (having served as its Principal Conductor from 2004 – 2011), and Honorary Conductor of the Orchestra della Toscana. He is renowned for his creativity and innovation in programming, the excitement of his live performances, and his extensive catalogue of critically-acclaimed recordings.